My first one. Found on my screen door today. 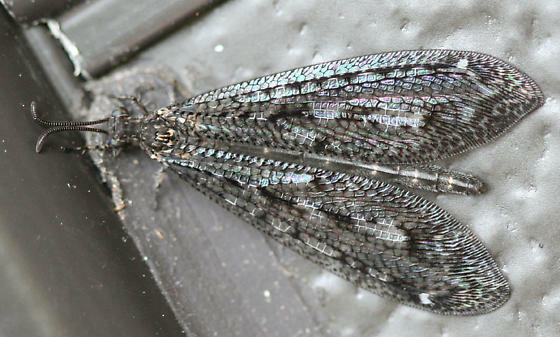 This is the antlion Brachynemurus nebulosus (Olivier, 1811). So that's what they look like! Beautiful, unless you are an ant. Or anything else that slides into the Doodle Bug hole.